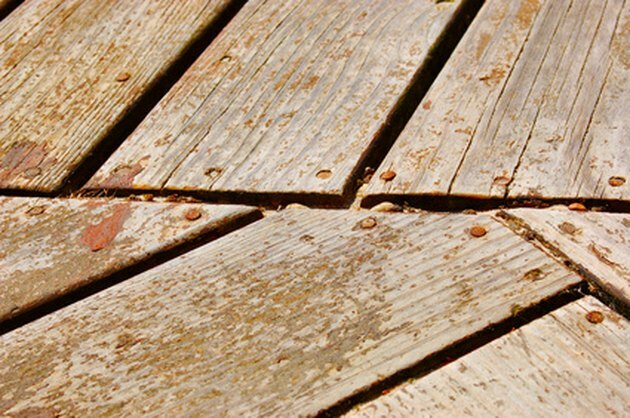 A sagging, collapsing or crooked deck is not only unsightly but also potentially dangerous. 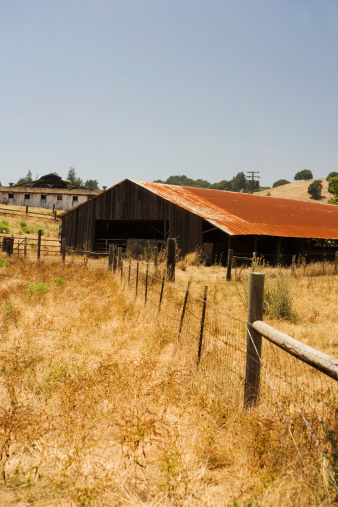 As with all structures, a long-lasting, durable and solid deck depends on a proper foundation. The foundation of a deck that rests on posts should be properly laid out, which involves making sure the posts are square. The posts also need to be set in the ground correctly so that they are stable and will not settle over time. These are important tasks, but they can be accomplished by anyone willing to follow some best practices. 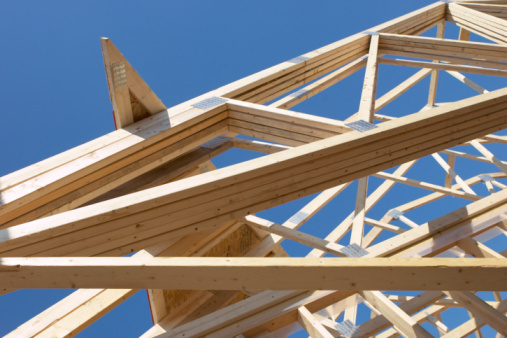 A properly built deck starts with posts that are square. Mark the location for one of the corners of your deck on the ground, and drive a landscaping stake into the ground there using a sledgehammer. Tie the loose end of a roll of mason's string to the stake. Use the 3-4-5 method to square your deck. The rule, based on basic geometry for a right triangle, ensures that a corner is square. You can use any multiple depending on the size of your deck, such as 6-8-10 in this example. Cut a 10-foot piece of mason's string and tie it to the stake. From the stake, measure out 6 feet on the string and make a mark at that point with a felt-tipped marker. Do the same thing at a distance of 8 feet on the sting. Pull the string along one edge of the planned deck, and use the mark on the string to know where to make a mark on the ground that is 6 feet from the stake. If your deck will be up against your home, measure from a corner against the house to a point 6 feet away that is along the edge of the house. Push a large nail through a piece of colored ribbon or tape to make a mark that can be easily seen. Use the same method to measure and mark a spot 8 feet away from the stake, this time along the planned adjoining edge of the deck. The string ensures that both measurements begin at exactly the same point. Measure the distance along a straight line between the two marks on the ground. The measurement should equal exactly 10 feet for the two edges to be square. Move your mark in or out as necessary until you get the required 10-foot measurement. Tie one end of a string line to the landscaping stake in the corner and the other end to another stake that you will drive in the ground at the other end of the planned edge of the deck. Stretch the line tightly so that it passes directly over the marks you made on the ground. You can begin with either the mark made in Step 4 or the one made in Step 5. Drive the landscaping stake in the ground to secure the line in place. Repeat the process for the other corners and edges of the deck as necessary. Mark the locations for your deck posts according to the planned dimensions for your deck and along these lines, and you will have set square deck posts.